The latest business breakfast networking meeting of the Elite Ayrshire Business Circle took place this morning Friday 24 April at West Sound Radio in Ayr. 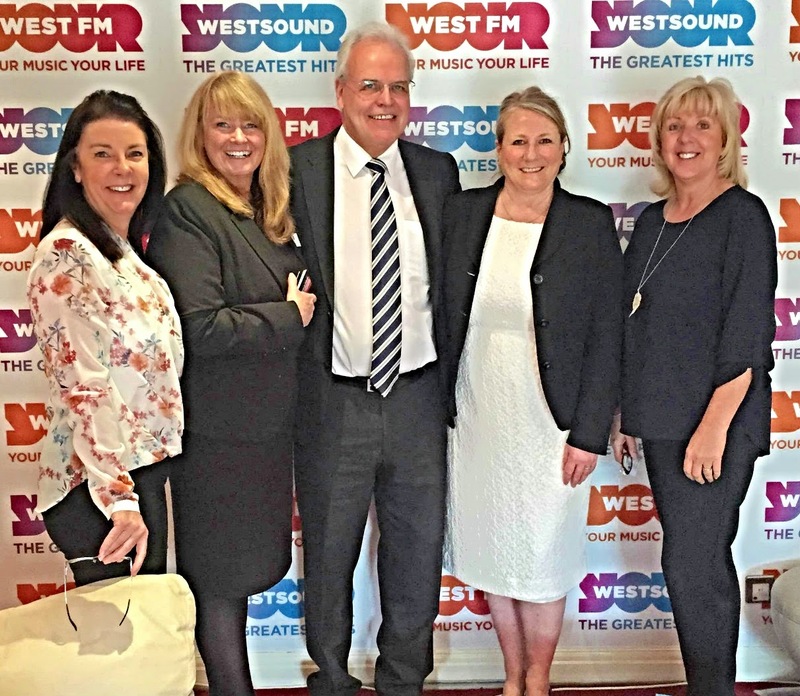 The meeting was hosted by West Sound Radio station director Brenda Ritchie and her team, and chaired by Norman Geddes, executive chairman of the Elite Ayrshire Business Circle and managing partner at Frazer Coogans Solicitors. Members and guests enjoyed a buffet breakfast, watching the 9am news bulletin being broadcast live, and a guided tour of the radio station’s studios. Deborah Begg, Account Manager, West FM/West Sound. Suzelle Murray, Account Manager, West FM/West Sound. Norman Geddes, Executive Chairman of the Elite Ayrshire Business Circle and Managing Partner at Frazer Coogans Commercial Solicitors. Brenda Ritchie, Station Director, West FM/West Sound. Chris Currie, Account Manager, West FM/West Sound.